Now that you have new landscaping, you will need to know how to properly maintain the beauty of your plants, trees, and shrubs. Pruning plays an important role in landscape maintenance and promotes plant health. 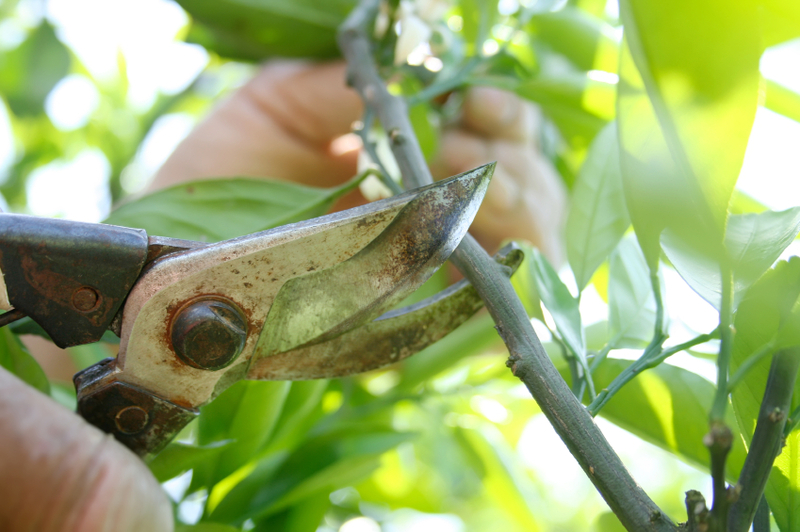 The process of pruning helps to remove dead or injured branches, encourages development of strong plant structure, and will keep the desired form of your plants. If you are wondering when to prune which types of landscape plants, use these simple pruning tips. Leave the ornamental grasses standing through winter, and then cut the grasses back in the spring before new growth begins. A sturdy pair of handheld shears makes it easier to prune smaller grasses. You can use electric-powered hedge trimmers for larger grasses. Roses should be pruned back after the final frost. Dead or diseased plantings should also be pruned or deadheaded as needed. Broad leaf evergreens include evergreen shrubs such as boxwood, holly, and pyracantha (firethorn). Most broadleaf evergreens require a minimal amount of pruning and can generally be pruned when convenient; however, the optimal time is early spring. Prune spring flowering shrubs like azaleas, rhododendrons, forsythias, and lilacs shortly after the blooms fade since they will soon begin to set buds for the next year. Prune just as new growth begins so that the new growth will cover the tips that have been cut. Deciduous landscape shrubs such as burning bush and barberry once the hedge reaches the desired height, then prune new growth back whenever it grows another 6 to 8 inches. As a general rule, prune to within 2 inches of the last pruning and shape edges so that the shrubs are wider at the base than at the top. The term deadheading means to remove the flowers from the plant as they fade or wither. The process of deadheading can extend the flowering period and can promote a second blooming of flowers. After a frost, when perennials and annuals have died, cut down and mulch the plants for next year. Winter is the best time to prune shade trees like oak, linden, and ash since it’s easier to see the branch structure during this time of year. You are also less likely to spread diseases through the pruning wounds in the winter months. Remove dead, damaged, or hazardous limbs, and trim limbs that interfere with walkways or structures. Many plants will not tolerate heavy pruning. The general rule is to remove no more than 1/4 of the plant at a time and not more than 1/3 of the foliage during the entire year. Cuts that are too large can lead to problems like decay, sunscald and interior sprouting. 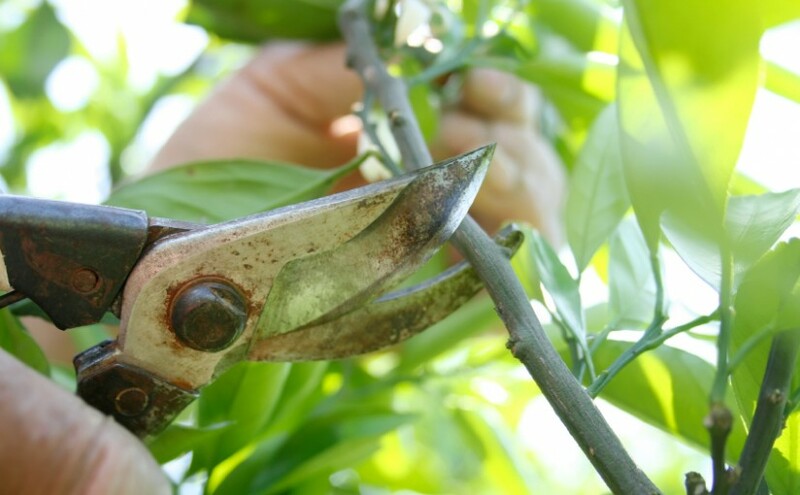 If you need to do any major shrub pruning, it’s best to trim the shrub back when it is dormant in winter. Know someone in the DuPage County area who needs help with landscape redesign? Have them contact us at (630) 932-8966. We provide quality tree, shrub, perennial, and groundcover installations as part of our range of residential landscaping services. Fantastic article on pruning that most homeowner’s need to know. We always see plants that look terrible or have even died because of improper pruning. Great job on the blog, and if you ever run across anyone who needs landscape maintenance in Huntsville Alabama, please send them our way. We’ll do the same for you in Illinois. Nice tips! There are separate steps to follow for certain types of trees. Good content for another post.